There is nothing worse than when your child is having a bad day. You are desperate to help, but are often left feeling helpless. There was no time that this was more evident than when my boys were young. Both of them had trouble with gas — particularly after starting solid foods. I tried everything that I could think of, including pumping their legs and changing their diet. Nothing helped. Then I read that a little bit of heat on their bellies can help pop some of the gas bubbles and lead to some relief. I began by putting my microwavable heating pad (on a low temperature) on their bellies along with using Little Remedies® Gas Relief Drops. It actually worked! They were able to pass some of the gas and stopped some of the discomfort. That is when I got the idea to name a more kid-friendly version of the microwavable heating pad. It would be something that would be just for the boys and something that they would love. You will want to begin by finding an old stuffed animal. My boys have tons of stuffed animals so I knew that this would be pretty easy. You want to find one that doesn’t have any metal on it (since it will be going in the microwave) as well as having sewn-on features. 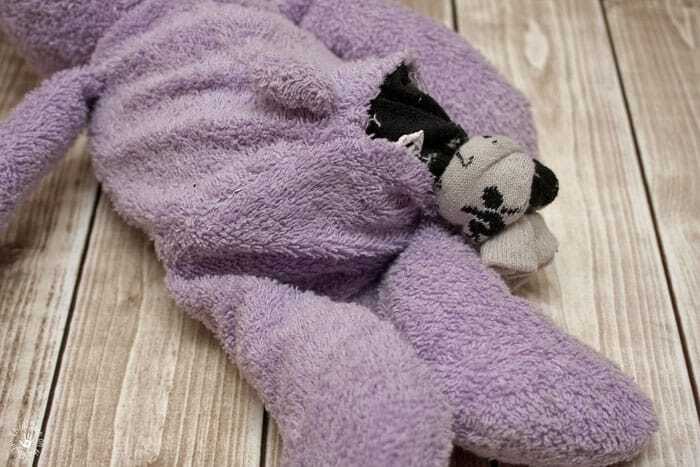 I found a purple terrycloth bear that fit the bill perfectly. Note: If you can’t find a suitable stuffed animal, you can check out this tutorial of mine on how to make a small stuffed bear which would be perfect for this project. I turned the bear over and found a good place to open up the seam. Using the seam ripper, I opened the seam and removed the stuffing from the bear. Next, get an old (clean!) sock. This is what you will put the rice in. Work the sock into the opening in the seam that you made, but be sure to leave a couple of inches sticking out. 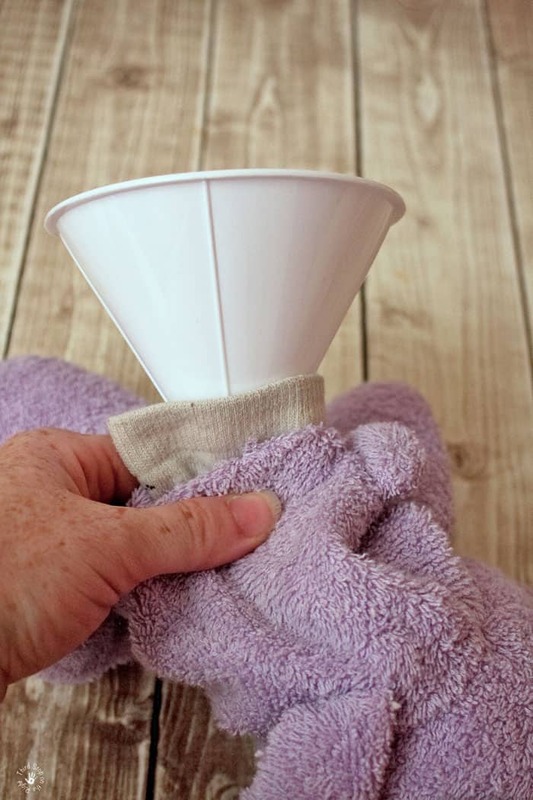 Using a funnel, pour rice into the sock, shaking it every so often to keep the rice from getting jammed up. 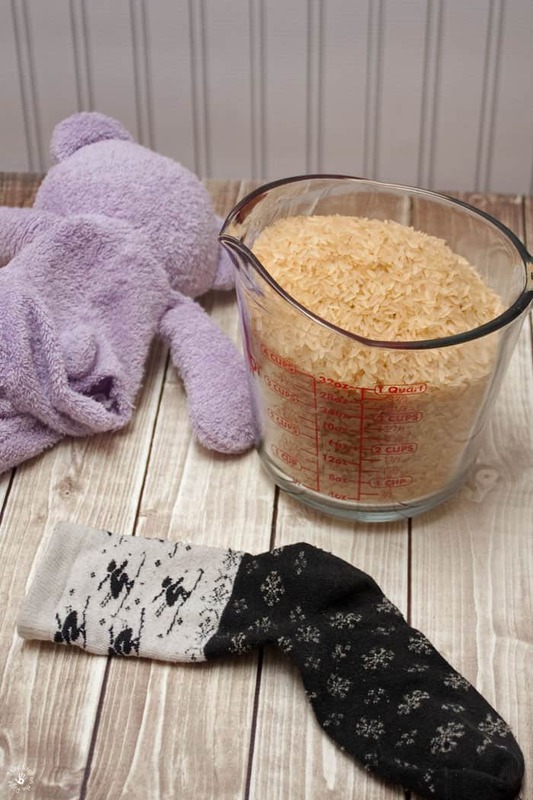 Once you have filled the entire body of the stuffed animal with rice, you will want to tie a knot in the end of the sock. I positioned the knot so that it was in the tail area and blended in with the bum area. Sew up the original seam using a like colored thread. Now all you have to do is pop the stuffed animal in the microwave and you have a fun stuffed animal microwavable heating pad for your kids. Plus, if your kids are anything like my boys, they love playing with the stuffed animal year round! To get the best results from your Stuffed Animal Microwavable Heating Pad, use it in conjunction with Little Remedies® Gas Relief Drops. This was seriously a lifesaver! Pediatrician recommended and safe for newborns, these gas drops quickly relieved tummy pains from excess gas. It is a safe remedy to gently ease gas, pressure, and bloating. I love using Little Remedies® Gas Relief Drops not just because they are safe and reliable. These drops contain no artificial colors or flavors, and also have no alcohol, saccharin, or parabens. Plus, they work in minutes, which is perfect for when your little one has a late-night gas attack. 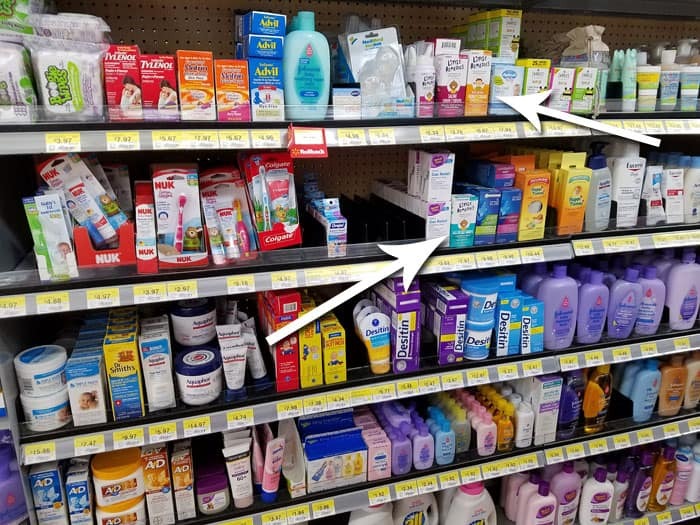 You can find the Little Remedies® Gas Relief Drops in the baby section in the back of the store at your local Walmart. While you are in the baby section, be sure to pick up some of the Little Remedies® Honey Cough Syrup 4oz. (now on Rollback for $5.97) which is a simple, natural relief for minor coughs — plus it contains only three ingredients! 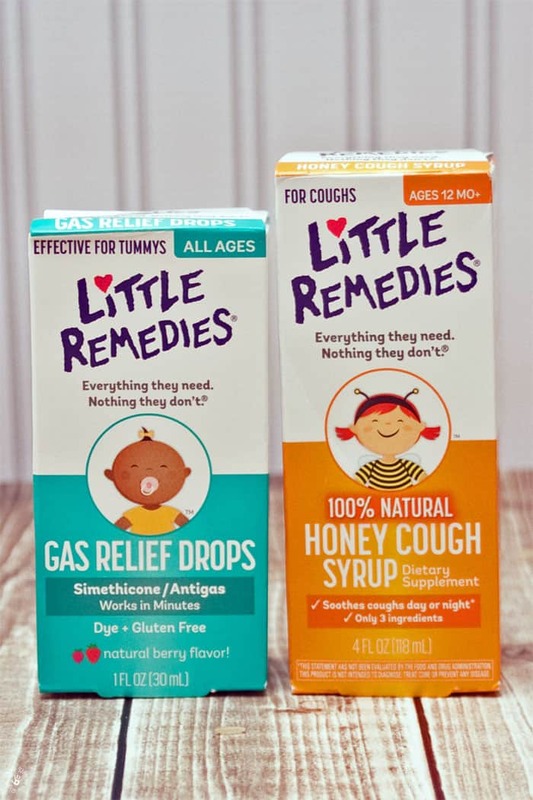 Little Remedies® Gas Drops 1 oz. are also on rollback at Walmart for only $7.17! Note: The Honey Cough Syrup should not be used with colds, allergies, dry cough, irritants, or hoarseness. 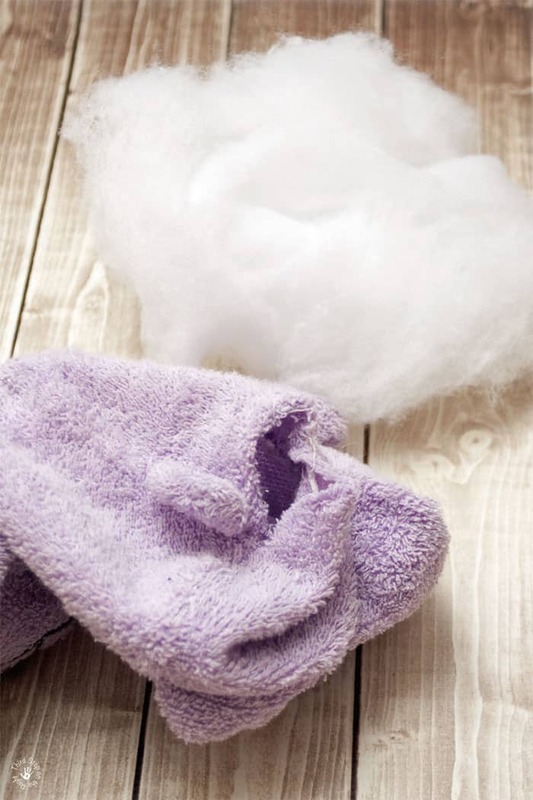 Comment On: What tips and tricks do you have to soothe your little ones? This is SUCH a great idea! Thank you for posting about this. I bet your kids love it!